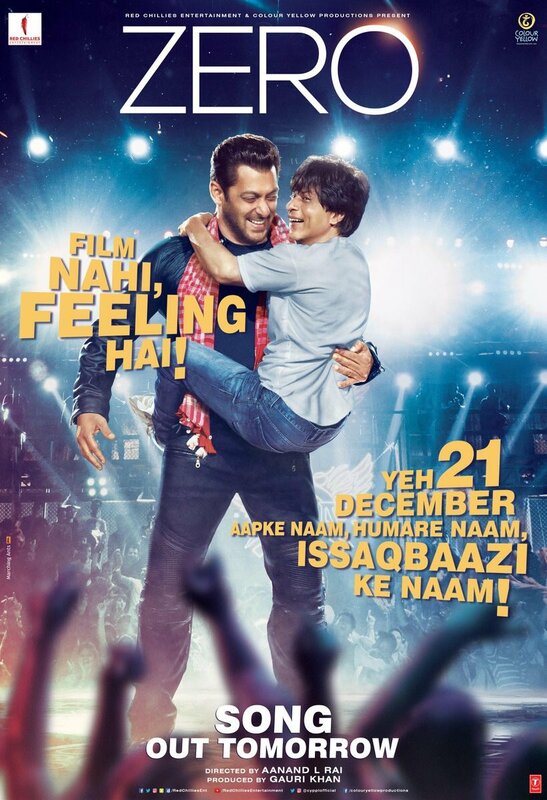 Zero Song - Issaqbaazi ft Salman Khan, Shah Rukh Khan out Tomorrow on 4th December 2018. The much awaited song of Aanand L Rai's Zero will be featuring two of the biggest Khans, Salman and Sah Rukh. The song has been teased by the makers since June when they released the eid teaser for their film featuring Issaqbaazi song. It has been sung by Sukhwinder Singh and composed by Ajay Atul. Zero features Shah Rukh Khan, Katrina Kaif and Anushka Sharma in leading roles and it is all set to release on 21st December 2018.